Is there an offline payment method? Mark not available yet. Just added into pool of features for next coming versions. Mark will you use this gateway for membership upgrade, stores...? 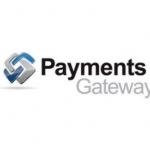 normally, a gateway supports one-time and recurring payment. Do you want both? Please send use integration request then let&apos;s discuss more via ticket system. Adam Phillips I would need it for everything. Business plugin, Property listings and membership. Essentially a replacement for Paypal. The country that we are catering to does not use Paypal. Mark please submit request we then let&apos;s discuss further details there. Adam Phillips Mark Where is the best place to submit a request. I&apos;m not a huge fan of your ticket system. I&apos;ve actually got a number of issues to deal with (reactions plugin doesn&apos;t work with my theme), payment gateway, mobile apps to be published and some modifications in the business plugin). Where can I access this log report so i can copy and send a copy to paypal tech support... they are asking to see the full request and response log? do i get this right? i have another webpage where i use paypal to recive money and now i would like to connect paypal to my moosocial site. can i only have 1 page connected at a time or am i doing something wrong? Mark you can use the same paypal account for both sites. I&apos;d really like to see a gateway for square. I like it much better than PayPal. Ray Kennedy Hey Russ. Can I ask why you prefer square to PayPal? I can&apos;t see how any online payment solution can be any more simpler or complete than PayPal. Maybe there&apos;s something about square I&apos;m not aware of you can enlighten me on. Thanks. Russ de Ment Hi Ray, there are a couple of reasons. The first is how they deposit to my bank daily, whereas my PayPal Business account queues the funds in their account, requiring a few days to transfer it over. I do use their Business Debit Mastercard. The way I use square on another site, it only functions as a gateway, whereas PayPal seems more like its own bank. My customers never get diverted to another website as the secure checkout happens all in one place. (On my site.) It&apos;s possible there is anoth... moreHi Ray, there are a couple of reasons. The first is how they deposit to my bank daily, whereas my PayPal Business account queues the funds in their account, requiring a few days to transfer it over. I do use their Business Debit Mastercard. The way I use square on another site, it only functions as a gateway, whereas PayPal seems more like its own bank. My customers never get diverted to another website as the secure checkout happens all in one place. (On my site.) It&apos;s possible there is another way to use PayPal that is more like what I&apos;m used to? Thank you.